The news just brought to my attention two New Jersey schools which have just recently had students, young ones, wander off of the school's campuses. It is insane the amount of danger those young students could have been in. The schools both had policies in place for what do to when a student is missing from a class where he was expected, but failed to get the response that was needed to locate the student. In one case, a passer-by called the school so that the principal could go and pick him up. The discussion in the article focuses on the fact that security methods would not be 100% effective, which is true, but protecting students must be a careful merging of technology and personnel policies. The policy that was in place to make a check of the immediate areas, then contact the front office so that police could be contacted is a great policy when enacted, but it can be assisted further through technology. It is suggested, that security cameras should be placed on all of the other entry/exit doors to provide coverage. I could not agree more with that statement. In fact in our schools, especially with young children, it is extremely important that not only entry and exit doors are covered with security cameras, but also that hallways must be covered as well. In today's climate, with the constant barrage of shootings and other violence in schools, even elementary level, how is this still not the norm? Every school district needs to audit their security, because if we wait until events like this occur, then it is far too late. While having a policy in place to alert when a student goes missing is a great thing to have, in reality, it may be far too late by the time the alert will even get to the front desk. Especially in the case of younger students, as in the mentioned article, a single teacher in many cases may be monitoring 30 or more students. Parents often have a hard time monitoring 2-4 of these same age children. So asking our teachers to know the instant a student disappears is probably over-ambitious at best. Then to prevent false-alarms and disrupting the education process of the other students, the teacher and perhaps the class under policy searches the immediate area and perhaps the closest restrooms. Now 5-10 minutes perhaps has passed, before finally calling the main office to report the incident and get other personnel looking. Without even knowing the exact time the child disappeared, it is difficult to even establish a perimeter for the search. The first line of defence when the child is found to be missing, would be to review the video - however this step only works when the school has an easily reviewed video archive. Many camera systems are cumbersome and difficult to find, especially with an unknown start time, finding a child via video may only be attempted in these cases long after the fact. However, with a system like our AVM software in place, an administrator in the office can quickly scan through hours of video to find exactly when the student left the room and where he went in a matter of seconds. 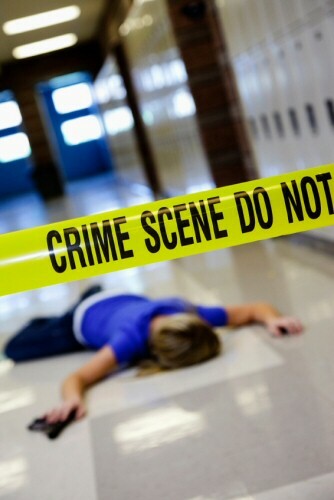 This can not only find a false-alarm from a student who wandered into a different area of the school, but can also identify if a student did leave the premise and give direction, time and speed quickly so that the authorities or security personnel can quickly find the student. This is what makes the QUALITY of the security camera system extremely important, as just having cameras doesn't mean it can be used quickly in the event of an emergency. Additionally, with the new technology available today, cameras for the entry/exit doors can even be equipped with intelligent analytics which can be calibrated and used to send alerts if persons are entering or exiting the facility via doors during specific timeframes. 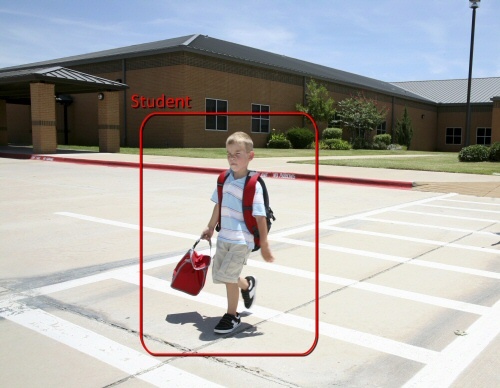 This can make an intelligent camera system, like our School AVM Security camera systems, alert the front desk or even send a photo text message with an image to school security personnel, receptionist or principal. These new advanced analytics cameras are already available and easily deployable in school districts. This technology alone can save children by alerting authorities even prior to the teacher realizing that a student has gone missing. 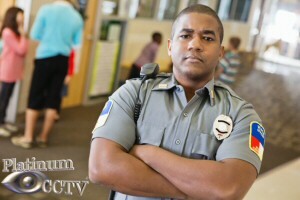 Learn more about how a quality school security camera system can mean the difference between safety and tragedy with our School Advanced Video Management Camera Systems with new analytics cameras to help set up advanced alerting. Call our office for an on-site security evaluation for your school, so that we can help design a security solution that will suit the needs of your district today. Discounts offered for full district-wide implementation.